The Sweet Taste Of Victory: YES! Holy Smokes I Did It! There’s no greater feeling than the moment you achieve a goal, cross the finish line, and complete something remarkable. The sweet taste of victory is euphoric and filled with immeasurable happiness. But it takes a lot to get there. I’m talking sweat, anxiety, conquering fears, taking risks, and building mental toughness. But a lot of times we get lazy and don’t want to get out of our comfort zones. The longer we stagnate and get caught in predictable, unexciting routines however, the harder and harder it becomes to break out of those funks. But never give up on yourself. You must believe that your wildest dreams are possible. And you have to be willing to go through pain, stretching, rejection, and growth, before you can get to success. If something is super easy, you’re either doing something wrong or not setting the bar high enough. Several years ago I had this crazy idea of swimming with dolphins, whale sharks, and all sorts of other creatures. Those visions in my head got me thinking about how incredible it must be to scuba dive. But all I did was sit on the couch and look at pictures or movies of scuba divers and the underwater world. I told myself those divers were special; I was not. I was convinced that they were doing something so difficult, dangerous, foreign and complex, that the thought of me learning how to dive didn’t even cross my mind. I thought that to be a diver, you had to be super athletic, super wealthy, live on a tropical island, and be completely fearless of the water. I’ve never been any of those things. 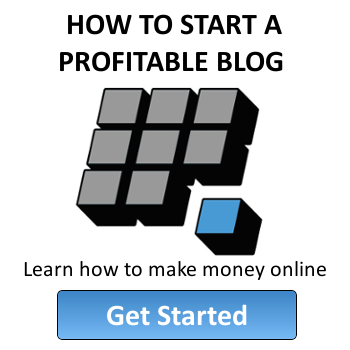 But fortunately, ever since I became a part time entrepreneur and writer, I ask myself more and more, “why not?” The older I get, the more I’ve come to grips with the fact that we can only blame ourselves for the things we do and don’t do. And we’re in control of our own destinies and happiness. We have to take responsibility for our own satisfactions with life as well as our personal development. If there’s something that interests you, no matter how crazy or complex it is, go out and learn as much as you can about it! A lot of times we let our assumptions (which can often be false) persuade us that things are too hard or out of reach. How can you know for sure you can’t achieve something if you never even give yourself a chance?! Take time to do your research and ask questions. Instead of thinking to yourself in statements like, “there’s no way I could do that” or “I’m too old, I missed my chance already,” ask questions instead. Before jumping to premature conclusions, you should keep asking yourself “why not?” and “what if?” and “how can I?” if you want a chance at the sweet taste of victory and hitting large goals. For me, I finally turned my (false) presumptions into curiosity. That curiosity lead me to start researching scuba diving and how people actually learned how to do it. I found out that it’s not as impossible and inaccessible as I thought. I stumbled upon a try scuba adventure when I went on vacation this past spring that didn’t have any prerequisites. Who knew?! If I hadn’t let my curiosity lead me to start researching, I probably never would have even thought I stood a chance to try it someday. Trying is great. We all need to try new things on a regular basis to keep life interesting and the monotony at bay. But getting your feet wet is just the beginning. Making a commitment to a large goal is not easy but is necessary. It’s the only way to pave a clear path to success and be able to go from observer, novice, apprentice, to master. I literally got my feet wet with scuba diving in the ocean. Then I decided a few months later to make the commitment to study, learn, practice, prepare and get an official scuba diving certification. In order to do that, I had to sacrifice several fun outings with friends, commit to studying, show up for class, try all the skills in the pool, pass tests, schedule a dive trip to Monterey, and make a sizable investment in basic equipment, textbook and materials, travel expenses, rental and instructor fees. I had to commit to a schedule, put down deposits, and give it my all. At times I was completely terrified! Thinking about being at the bottom of the ocean and suddenly not being able to breathe freaked me out tons of times. Imagining the freezing cold temperatures of the water in Monterey, CA where I had to complete my 2 days of open water dives put lots of knots in my stomach too. And I was freaking out about the amount of equipment and weights I’d have to be able to carry. But I managed to lay all my fears out there and embrace them. I replaced each fear and negative though with several calm ones paired with positive facts and encouragements. I also learned to manage and overcome a lot of my fears by preparing. I lifted weights, and did several cardio and strength training workouts a week to get myself in better physical condition. I watched videos, asked a lot of questions, practiced skills, and reread material to build my confidence, and feel fully prepared. So, here I am three weeks later since I made my official commitment to get certified to scuba dive, and YES! Holy smokes I really did it! I’m an official Open Water Diver! I have my temporary card now and my lifetime card will arrive in a few days. Now I am trained to go to depths of up to 100 feet anywhere in the world. And I survived the 55 degree water in Monterey Bay thanks to a 7mm “farmer john” wetsuit, hood, gloves, and boots. And even though I got water in my regulator a few times, as well as water in my mask, I used my training to stay calm and quickly resolve all of those issues. If you asked me a year ago if I could have done any of the things I did, I would have said, “NO way!” It still kind of blows my mind that I didn’t freak out, but I managed to stay calm even when my tank almost ran out of air. We can all do incredible things if we give ourselves a chance to succeed and face our fears and doubts. Here are a few pics from my trip. If you’ve ever thought about scuba diving, I strongly encourage you to give it a try and look into getting certified. It is unbelievable how incredible the underwater world is. It gives you a whole new perspective on life, nature, weather, marine animals and fish, and the environment. It’s also opened me up to a new group of friends. Being able to share a great dive with a friend is so exciting and makes a lot of priceless memories. Maybe after I get more dives under my belt I’ll take up underwater photography to capture some of the fascinating things I get to see. Early morning at the breakwater. Lots of divers already in the water. 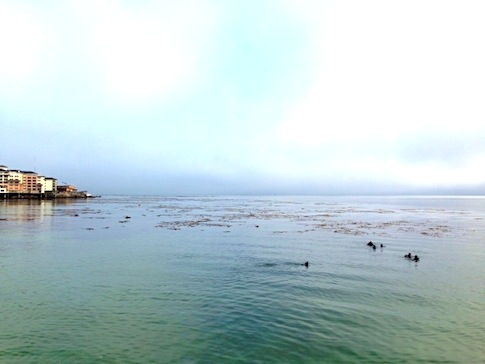 Peaceful, calm waters with the mystical kelp forests in the background. 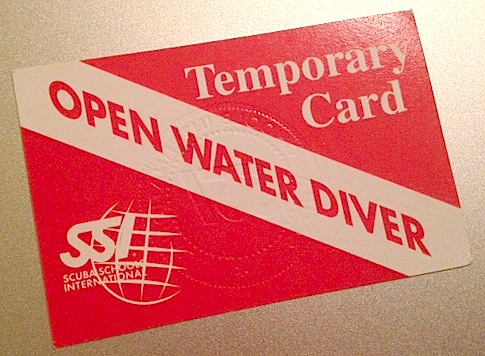 I’m now an official Open Water Diver! I can’t wait to get my lifetime card in a few days. 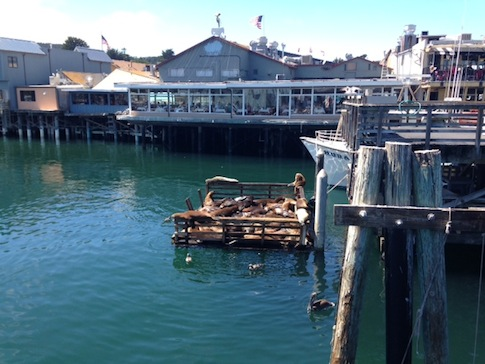 Happy Sea Lions chilling on a dock at Fisherman’s Wharf. Monterey is a beautiful place! Untemplaters, have you ever achieved something fantastic in your life that you worked really hard for? How long did it take you to get the courage to start trying and commit to your goal? What is something you’re working towards right now? What’s your happiest sweet taste of victory memory? Congratulations! looks like you had an awesome time. I have done plenty in my life but always procrastinated on getting a driving license (in Europe you don’t need it much) so studying for it at 27 felt a bit weird but I am glad I went over it, I was so happy I did the motorcycle one a few months later and now get to tour everything on a bike! Thanks Pauline! Nice job getting your divers license and being able to ride a motorcycle! I’ve ridden on the back of one a few times but never learned how to drive one myself. I have several friends here who absolutely love riding their bikes, mostly the racing kind. What an amazing achievement Sydney! Proud of you! You must be on Cloud 9! Are you normally a thrill seeker? Don’t have anything that comes close, but thanks for the inspiration! I love Monterey. I was at the Defense Language Institute back in the late 70s. Our family loves the Monterey Bay Aquarium as well as hanging out in Pacific Grove, too. That’s awesome that you got your scuba certificate. I am more of a snorkeling fan, because it is simpler than scuba and it doesn’t require certification, but it’s not so good in the kelp forest. 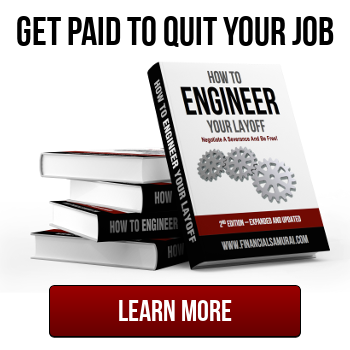 In answer to your questions in your post, I would say getting my mechanical engineering degrees were the best long term endeavors I’ve completed. They sure have paid off. Thanks Bryce! Monterey is so much more beautiful than what I remembered when I was there a few years ago. The Monterey Bay Aquarium is incredible. I can’t believe I got to dive with some of the same types of fish and jellyfish they have on display there. Snorkeling is fun and is an important skill to have when scuba diving too. I didn’t understand why at first, but it really helps save tank air when swimming out to a dive site and also when resting on the surface. Nice job on your mechanical engineering degrees! That’s awesome. Wow! That’s incredible. I took a scuba class in college and absolutely loved it. You’re right on: it’s amazing what you can achieve when you study and break through the fear to get it done. Congratulations! 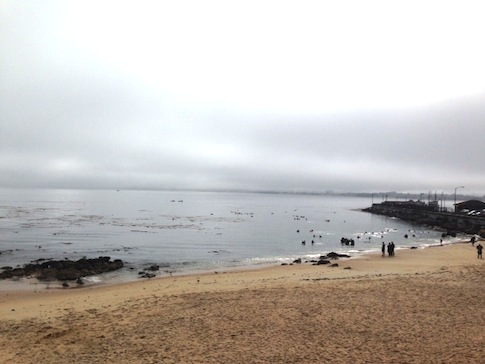 Is there always poor visibility in Monterey Bay or was it just poor for this outing? Thanks! Knowledge really helps build confidence and break through fear. I used to think that clearing a mask of water below the surface was going to be impossible and scary. While it was weird at first, the more I practiced and learned tips on how to do it, it became second nature. The visibility in Monterey is definitely not like places in the Caribbean. However, some days are pretty good, especially in the less frequented places. The area where I was had a ton of new divers in the water, who like myself still have a tendency to stir up the bottom, so the vis’ wasn’t the best. Plus with it being sunny a lot of plankton was blooming which also impacts the vis’. But we were still able to see quite a lot. The harbor seals in the water in front of us was unbelievably cool! I’ve heard that Point Lobos in Monterey is fantastic. It’s a marine park so the number of divers per day is restricted. And the marine life is quite abundant there b/c it’s protected. Congratulations, how exciting! 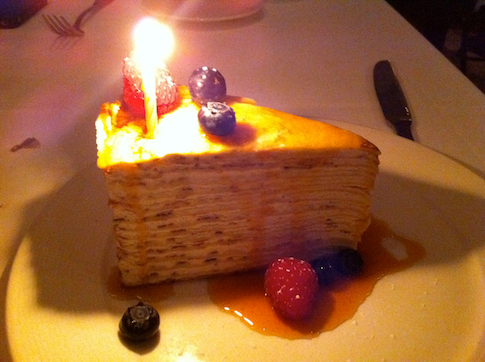 Great pictures, too (your celebratory tiramisu is well-earned!). As time goes by, it is harder and harder to find things to get excited about. Glad you are setting your own pace and goals, great post!